Spring is in the air and so is Nurse’s Recognition Week. Everyone loves recognition, adults, children, pets, employees and believe it or not managers do too! 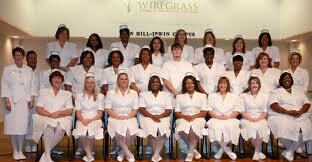 Well May 6 thru 12 is Nurse Recognition Week. So many nurses feel, like one week is not enough. Nurses are hard working and often feel unappreciated all year round. There really is no way to show nurses how much they are valued in one day, week or month. Recognition and appreciation need to given on a regular basis. As I said Spring is in the air and that indicates change, growth and new beginnings. The field of nursing needs an overhaul. We need a new way of thinking. “Nurses eat their young” is an all too familiar phrase to those of us in the Nursing Profession. We don’t always take care of each other as well as we should. We, the nurses, need to take charge in making that change. Now is the time for us to examine how and why we do the things we do. Here’s how! Make changes in our attitude within ourselves first. Take care of yourself. Give yourself recognition for a job well done on a regular basis. If you want to influence others start with the basics. YOU! After all, You Can’t Give What You Don’t Have! Let’s make a commitment to ourselves and our profession to be good to ourselves and each other. So on behalf of and for all nurses, everywhere, HAPPY NURSES YEAR!! Here’s to new beginnings!